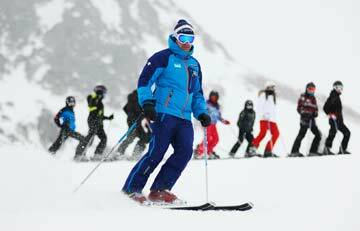 Why is Vallnord a good ski resort for school groups? The Vallnord ski area has benefited from significant investment over the past decade and has quickly developed from a cheap ski resort to a great value ski resort. As a party leader looking to take a school group on a skiing holiday, Vallnord is likely to tick most if not all of the boxes on your wishlist. Quite a lot smaller than Andorra's other big ski resort, Vallnord is nevertheless offers plenty to first time skiers and is split into three sectors: Arcalis, Arinsal and Pal - all of which you gain access to with your school group ski pass. Grandvalira can be easily reached from a number of different airports, the closest being the Lleida-Alguaire International Airport, closely followed by Carcassonne, Toulouse and Barcelona Airports. Pal is perhaps the most suitable sector for your school group as it has a strong family atmosphere and most of the ski areas targeted at first time skiers. Your school group will likely start their week at the beginners area where they can find their balance. Moving on they can take to some of the wide green runs designed to build beginners' confidence so that by the end of your school trip, your students could be flying down the wide blue runs that begin higher up the mountain. Arcalis is most people's favourite sector, as its north facing slopes get the best of the snow, especially later on in the season. This sector has an 8km run known as the Megaverde which is long, undulating, and offers the type of scenery that makes you want to stop and breathe it all in. At Vallnord there are hotels, apartment and lodges for all school budgets. 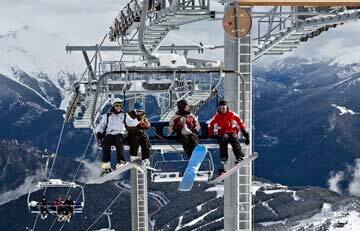 Ski-in ski-out hotels as well as sole occupancy hotels can be found in this well provided for resort. We'll find you the best place for your school group to stay in Vallnord. 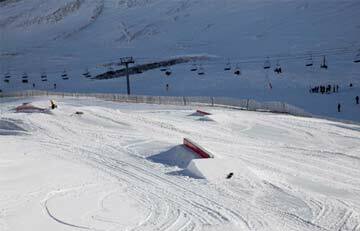 Beginners 5/5 Intermediates 5/5 Great skiing for first time skiers or mixed ability school groups. 1450m to 2600m Snowfall 5/5 This part of the Pyrenees gets reliable snow and there are plenty of snow cannon on standby later in the season. Transfer times from Barcelona, or Toulouse are around 3.5 hours. Use the following short form to begin planning your school skiing trip. Tell us your basic requirements and we will gather the best prices from the ski operators who take school groups to Vallnord. 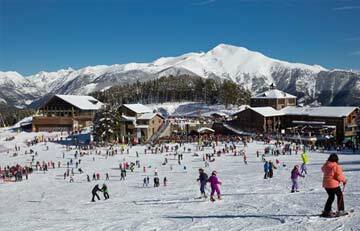 Grandvalira in the Andorran Pyrenees is one of the largest ski resorts in Europe. It has purpose built sections for beginners and school groups.